Team Selfie - Nick captures his team with their new Quantum sails. We caught up with Nick to see how his Dragon Sailing youth team was progressing, and to ask him for advice for those thinking of starting their own youth racing team. Growing up, Nick had to seek out sailboat rides. That sparked his passion to create a youth sailing program. “My mission is to give kids the same opportunities that I fought for as a kid,” he said. 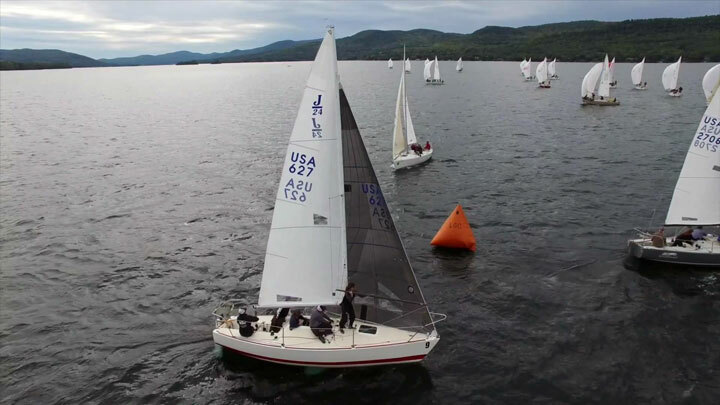 His vision for teaching kids how to campaign a racing sailboat started at the grassroots level. Through his own funding and persuasion, he created the J/24 Dragon Sailing Team. Thanks to the Mystic Connecticut Marina, the boat has a place to live. And thanks to Quantum Sails and the Ultimate Challenge contest, they have a new set of sails. Nick believes one of the best gifts you can give young sailors is to hand over the tiller of a race boat so they can compete against adults. On the Dragon Sailing Team, kids take turns driving the boat depending on the event level and team members’ skill. Although the team hasn’t yet qualified for next year’s J/24 World Championship, they have a second goal in mind: becoming regular faces of the fleet. Competitors have noticed, even commenting on the improvements Dragon Sailing made throughout the season. “The team started to hang with the veterans, which means they came a long way,” said Nick. Rounding the Mark - The Dragon Sailing Team rounds the mark at the 2016 Changing of the Colors Regatta. The Dragon Sailing Team has applied for the youth J/24 Worlds berth. Even if they don’t qualify, they’ll still be campaigning. They’ve also set a goal of one major event per month, even throughout the winter. “The kids are eager, they want to do more, so we introduced them to frostbiting,” said Nick. His advice to others considering a similar endeavor is this: realize that this is a passion project. He used his own finances to set up the team, not to mention all of the time and hard work involved. Though he started the project, it’s taken a community help sustain the momentum. One thing that’s helped has been finding another local youth sailing team. Nick bounces ideas off the team leader, asking about anything from logistics to finances. “It’s good to have someone who shares similar experiences,” said Nick. 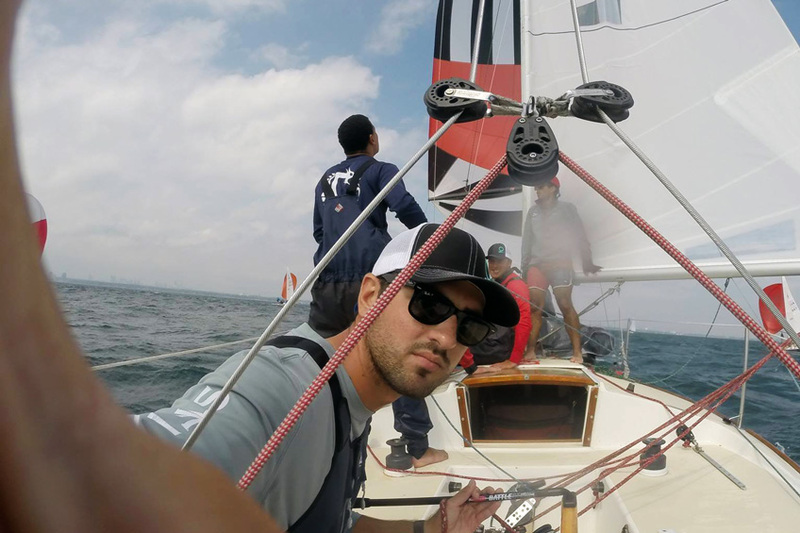 Nick is not only teaching kids how to race, he’s showing them that sailing is a sport of friendship and comradery, and he’s teaching these lessons on a high-level stage. Bravo! Great advice and excellent mission. Looking forward to racing against you in 2017!